A HC-One care home in Stockport was joined by the Mayor to celebrate Dignity Action Day and highlight social inclusion. The day aims to promote dignity in care and to ensure people who use care services are treated as individuals and are given choice, control and a sense of purpose in their daily lives. The Mayor of Stockport, Councillor Walter Brett, was invited to attend the international bake off at Newlands care home and to learn more about promoting social inclusion and a diverse workforce. A presentation was held by Greater Manchester Police and National Police Equality Lead, Abid Sadaar, who spoke about using employment as a way to promote a diverse workforce and respecting cultural and social aspects of Residents to promote inclusion. Michelle Pepworth, HC-One care home manager, said: “The event was a great success and we were honoured to have the Mayor of Stockport, Cllr Walter Brett to join us to celebrate Dignity Action Day. 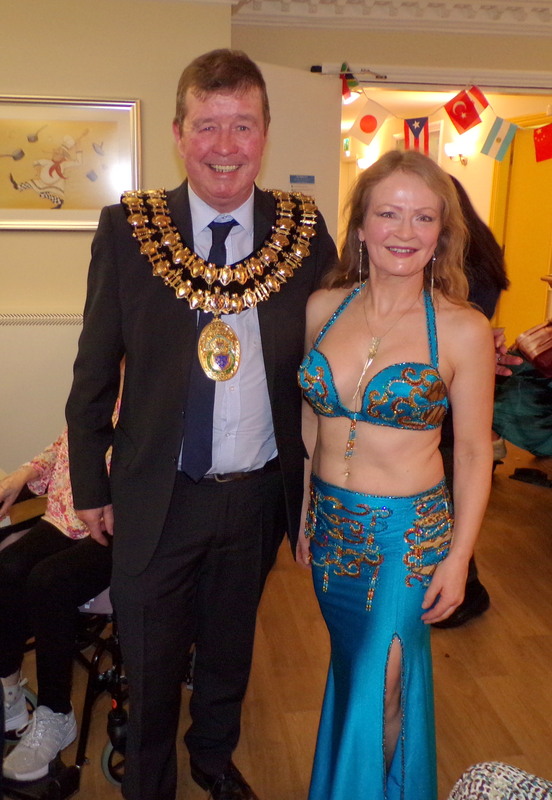 Following the presentation, the Mayor enjoyed refreshments and entertainment from a belly dancer, along with social workers, staff, Residents and other members of the community, who attended the event. Residents and staff were asked to bring in a variety of foods to taste. There were dishes from India, Philippines, Persia, South Africa and Mexico, which highlights the diverse number of Residents and staff from different cultures at Newlands. For more information about Newlands or The Beeches, call 0333 999 8578 or visit https://www.hc-one.co.uk.